In these highly engineered structures, the shelves form part of the building's structral system. 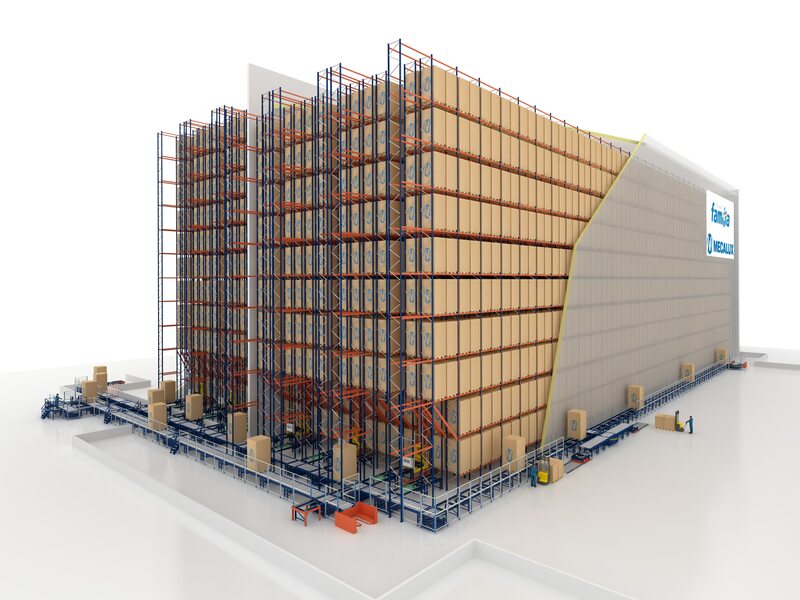 A large warehouse in which the rack system is integrated into the building during construction. Rack supported buildings consist of a complete racking system that provides the basic structural support for the building's roof and walls. 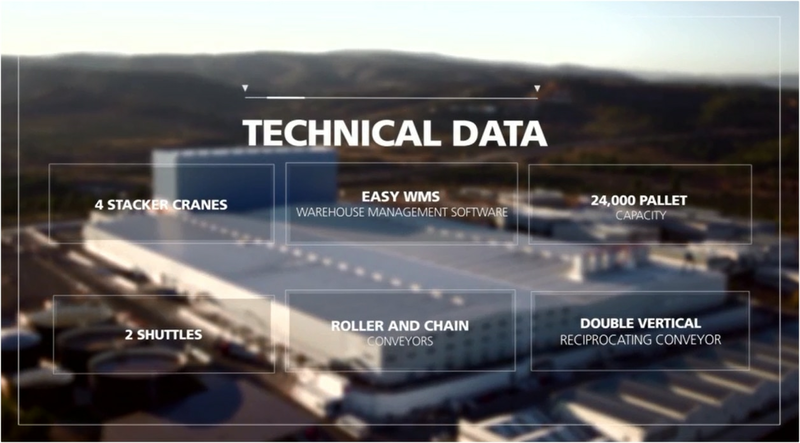 The highest density storage solution possible for nearly every type of pallet rack, this method of building construction reduces construction costs, lead times and minimizes the building footprint. An Interlake Mecalux clad rack building is the most economic storage solution when a new building is required. Although AS/RS applications are the most common type of rack supported building, other racking systems such as Drive-In and Push-Back are also available. When land is at a premium and an accelerated construction schedule is required, a rack supported building is the optimal choice.